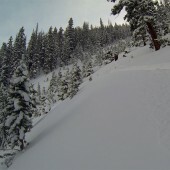 This avalanche chute has a pitch in the lower 40s. It slid big in early spring 2014 and numerous times in the past. 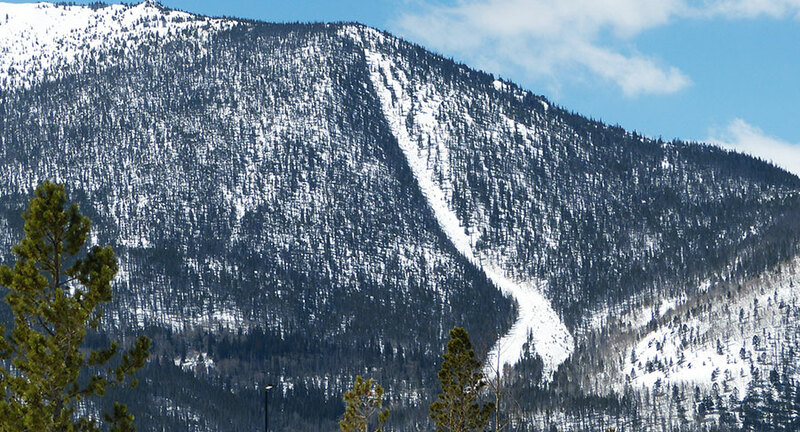 Masontown was destroyed by a series of avalanches here. If you triggered a slide you would be caught in a bad terrain trap and swept through trees. The skier's right side in the small trees has more consistent snow because it's more sheltered from the sun but it still shouldn't be considered safe. 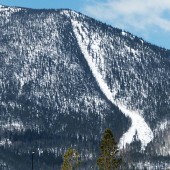 The slide usually triggers from the skier's left side of the chute where it's more open. All videos are Copyright their respective owners. These are 3rd party videos hosted on YouTube or Vimeo and we make no guarantees as to their accuracy or relevance. how about we show some common sense and stop skiing down or across the skin track anywhere above royal? thanks. 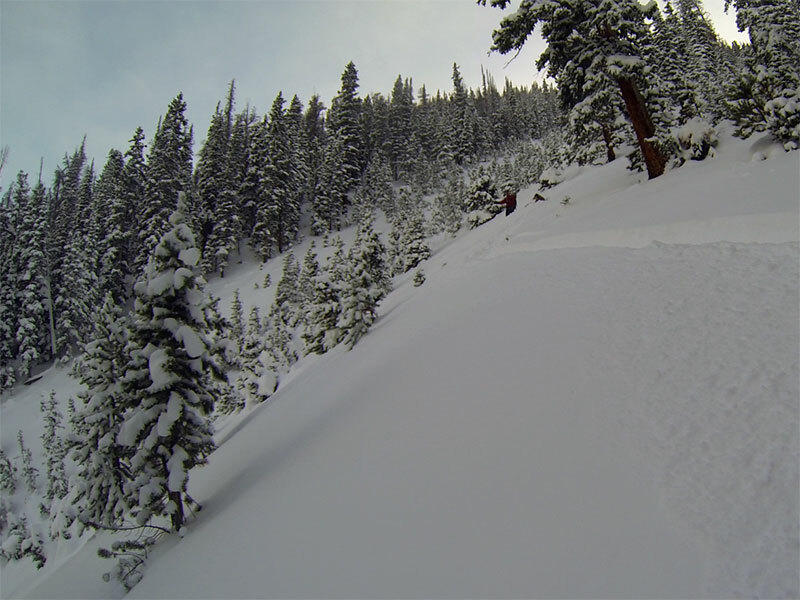 Nope, this is USFS – managed public land and the J Chute is a classic line that we’ve been riding for decades. If you aren’t comfortable on the Mt. 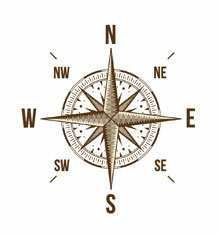 Royal Trail where it crosses the J, maybe it’s time you find a different route. This is all class 2 avalanche terrain, and much of Mount Victoria and Royals’ north and west sides are class 3. Anyone who chooses to travel upon any existing trails in this area should be aware and understand they are taking risks just by being in that area, regardless of where anyone rides on these lands. What I meant is the people who cut downhill turns across the skin track going up victoria above where the trail splits off between royal and victoria and the climb gets steep. Downhill skiing on the skin track and ruining it for everyone is selfish and kind of sad.